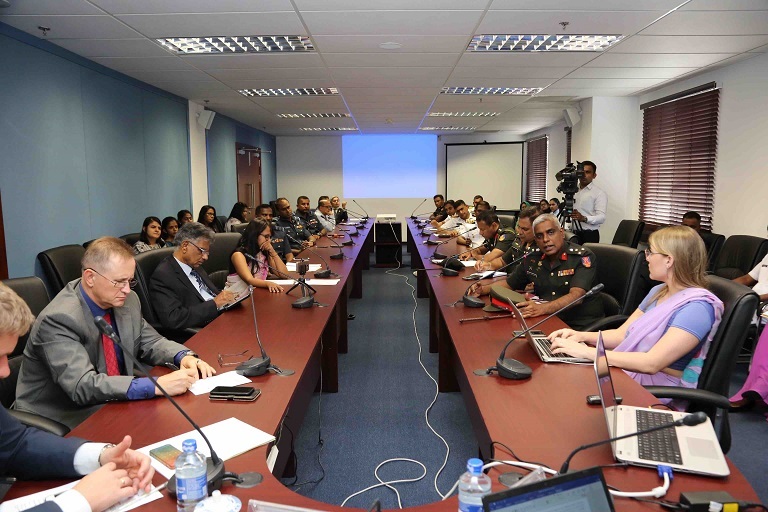 ‘Russian Interest in the Indian Ocean’ was the overarching theme at the latest Round Table Discussion held at the Institute of National Security Studies Sri Lanka (INSSSL) on March 19th, 2019. Guest speaker, Ms. Ksenia Kuzmina, Program Manager for South Asia and Asia Pacific for the Russian International Affairs Council (RIAC), spoke in detail on this topic, with attendees from academic and military fields. Ms. Kuzmina opened her insightful and in-depth piece by stating that Russia does not have an imaginary role in the Indian Ocean region and has serious interests despite often being disregarded as a major player. One of Russia’s primary interests is to promote the zone of peace in the Indian Ocean, as any threats that influence this area could easily reverberate all the way to the Russian homeland. Ms. Kuzmina discussed that strategic rivalries and conflict in the area are against Moscow’s interests as the Indian Ocean is crucial for Russian trade, security and communication. Threats to the region include climate change and marine pollution; emerging technology such as artificial intelligence; cyber-attacks; piracy; terrorism; and advanced weapons. In order to combat these problems, said Ms. Kuzmina, Russia must forge bonds with smaller states and islands in the region, including Sri Lanka. She stated that these nations need to begin promoting their own security and interests rather than following major players. One way to do this is through Russian cooperation, with Ms. Kuzmina stating, Moscow can provide great input to the regional security and to some extent serve as the regional security provider…”. Ms. Kuzmina explained that Russia canplay a significant role in providing expertise, sharing knowledge and data, training states, and sharing personnel and business. This process of interconnectedness helps states bolster their security and protect themselves from threats which in turn protects Russia from issues encroaching on their territory through Asia. According to Ms. Kuzmina, peace and respect are Russia’s foremost desires in the Indian Ocean, promoted through positive interstate relations. However, to achieve this ambitious task, states must acknowledge and accept this on all levels, from academia, business, the government, and education. Ms. Kuzmina’s discussion was concluded by questions from attendees before stating that developing cooperation is a two-way process that demands initiative from both sides of the party. Russia has something to give, and hence Sri Lanka need only ask. The Round Table Discussion was closed by Director General of INSSSL, Asanga Abeyagoonasekera, who shared his wishes to continue positive dialogue and further close discussions with Russia. Only Nations, the developing countries could depend on today are China and Russia. The USA,UK and the West ary hypocrites trying to feather their own nests and sacrifice small developing countries for their own benefit.